Built in 2012, this remarkable custom built brick single story home offers the amenities seen mostly in larger homes! 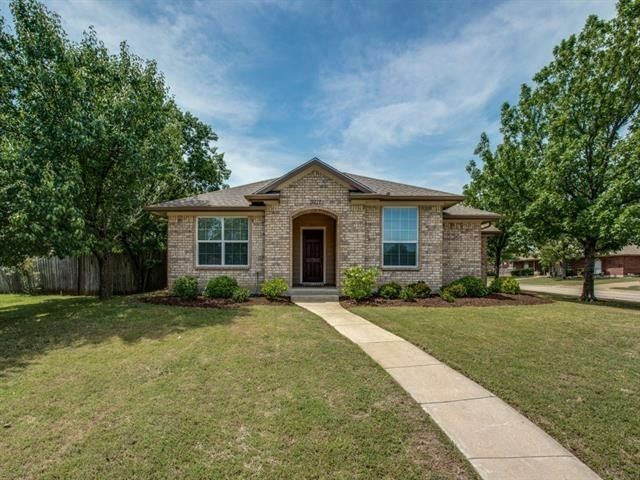 Hardwood floors, ample custom wood cabinets, granite-like countertops, open floor plan with large kitchen, breakfast bar open to living room and dining area. WOW kitchen with breakfast bar open to family room and to dining area. Three bedrooms separated for privacy. Two luxurious bathrooms-- one jack-n-jill with extended storage & dressing area for both guest bedrooms. Partially covered patio. The one-fourth acre corner lot and back entry garage area add additional privacy. Partially covered patio. Rare opportunity for an elegant custom home! Directions: RECEIVED MULTIPLE OFFERS! PLEASE SEND YOUR BEST AND FINAL OFFERS TO LA's EMAIL BEFORE 6:00 PM ON MONDAY, MAY 15, 2017. INCLUDE VERIFICATION OF FUNDS OR LENDER'S APPROVAL LETTERS.